On the hunt for junk, thousands hit the road on Nebraska’s scenic byways. 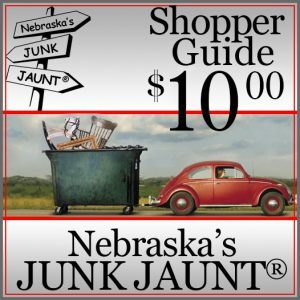 It’s time for Nebraska’s Junk Jaunt. It’s estimated more than 20,000 people hit the road in search of treasure. It’s one huge garage sale, that organizers say spans hundreds of miles. Now in its 13th year, folks know it’s a place to find a wicker casket and other one of a kind items. NTV witnessed four sheriff’s deputies patrolling in Cairo. There are lots of out-of-state visitors, in some cases stopping suddenly on unfamiliar roads. So if you’re out, make sure to keep your eyes on the road. Non-profits say they benefit from the 300 miles of junk. The number of vendors in the lot at Cairo’s Christ Lutheran Church has more than doubled since last year, according to the town’s Junk Jaunt coordinator. She said when vendors rent a lot $35 of that goes to the church. “It’s a huge fundraiser. Just the lots alone have brought in a couple thousand dollars and then the church and Centura Booster Club both run concession stands,” said Charity Adams. Adams said the community center and ball fields also take in big bucks during the annual yard sale. She said there’s some unique finds in her town this year. “We’ve got a guy over at the ball field that has these Segways for farmers that got caterpillar tracks on it, and then we have a giant chicken and we have a yeti and we have boar’s teeth and raccoon tusks,” said Adams. Despite the selection, one vendor told NTV traffic seemed to be down in Cairo Friday and rain kept some people home Saturday morning.